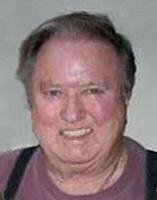 WATERLOO - (David) Ross Blow, 76, of Stuart, Fla., formerly of Waterloo, died Wednesday, Feb. 10, in Stuart at his home. Born Feb. 12, 1933, in Detroit, Mich., he was a veteran of the U.S. Navy, serving during the Korean conflict. He attended and graduated from Iowa State Teachers College and taught at Cedar Falls High School, founding the Distributive Education Program. In the summer of 1954, on military leave in Tijuana, Mexico, he met Barbara Luscomb who was vacationing there. On Jan. 2, 1956, he married Barbara in Juarez, Mexico. To this union two children were born, Douglas Ross Blow and Cindy Blow. He founded Ross Blow & Associates Insurance Agency in Cedar Falls, retiring following a plane crash in 1977. He then founded Ross Blow Rentals, retiring from that following the 2002 death of his wife and business partner Barbara. Ross then moved to Stuart where he met his second wife, Josette Ayres, whom he married on Nov. 30, 2006. One of his greatest joys was fishing and he especially looked forward to his grandson David's annual Christmas vacation visit to share his love with him. Another passion Ross enjoyed was playing blackjack on casino boats out of Miami. Ross is survived by his wife Josette; his son Douglas; grandson David and daughter Cindy; stepsons, Philippe Ayres of Texas and Patrick Ayres of Connecticut; and three stepgrandchildren. He was preceded in death by his first wife Barbara on Jan. 6, 2002. Memorial service was held March 15, in Stuart, with burial in South Florida National Cemetery, including full military honors. The U.S. flag was presented to grandson, David Blow, by the Navy. A lovely reception followed at his home, hosted by wife Josette and attended by son Douglas and grandson David. Memorial contributions for grandson David's college fund may be directed to Douglas Blow, 6247 Kimball Ave., Waterloo 50701 or to the charity of the donor's choice.